The 2018 Victorian State Schools Spectacular (VSSS) will showcase 3000 young performers from more than 200 schools across Victoria for two shows on Saturday 15th September at Hisense Arena. This year's production With The Beat explores ideas of belonging and identity. The journey of exploration will see Hisense Arena transformed into a mystical Venetian masquerade ball and a wondrous Steam Punk Fairground in a cornucopia of new and old mixed together. For the first time the VSSS Pacifica Choir will perform, taking inspiration from the movie Moana, and the audience will be immersed viewing one of the most powerful forms of cultural dance, a HAKA; specifically written for the show. Taking inspiration from the Grimm's Brothers folk tale – The Goose Girl, a famous story of lost identity, will feature a puppet designed by Philip Millar of Creature Technology Company bringing another performing dimension to the stage. Adding that extra bit of 'magic' will be student Tim Mason, an international award-winning magician who will delight audiences of all ages with his masterful showmanship far beyond his years. This year's extravaganza will feature a 75-piece orchestra, 31 principal vocalists, 16 principal dancers, 20 principal ensemble dancers, 9 backing vocalists, 44 Victorian State Schools Choir members, 55 specialist dancers / singers, a magician, a puppeteer, a 1300 voice choir and 1125 mass dancers. Taking part in the Spectacular provides a unique training opportunity for students onstage, as well as behind the scenes in audio, lighting, video production, stage management, costume, make-up, marketing and photography. The annual performance will see 33 secondary students and 90 Tertiary / TAFE students learning and working across these platforms in 2018. This year the VSSS will be saying goodbye to some of the long-standing students who are coming to the end of their secondary education. Imogen Spendlove has been part of the VSSS for the past nine years where she has had the opportunity to perform over 30 songs as a Principal Vocalist. Imogen says she has found "Spec to be a space to learn and explore the art of performance". VSSS also welcomes 116 new students in 2018 who will be involved in behind the scenes as well as on stage. There is something for everyone's musical taste in this year's show with songs being performed from Macklemore, Imagine Dragons, Sheppard, Tim Minchin, Beyonce, Rihanna to Little Mix, as well as Camila Cabello, Vance Joy, Bruno Mars, John Legend, Elton John to Karl Jenkins and Hans Zimmer. 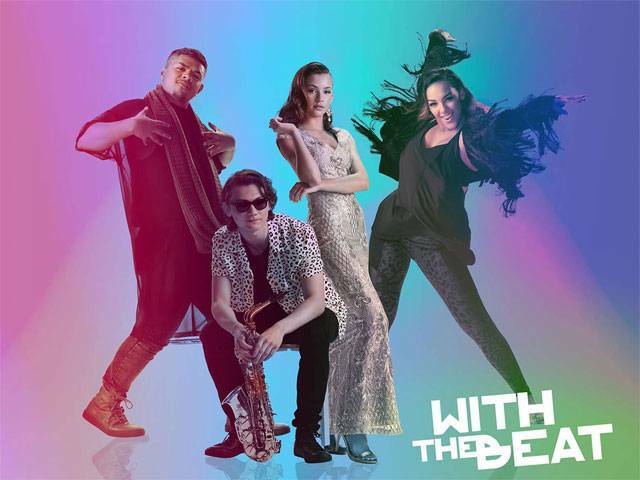 'With The Beat' is a creative vision of industry professionals including Creative Director Neill Gladwin (Olympic and Paralympic Opening Ceremonies), Musical Director Chong Lim AM (John Farnham MD, Dancing With The Stars), Dance Director Deon Nuku, (Scooby Doo, Happy Feet, Moulin Rouge) and Associate Dance Director Yvette Lee, (Dancing with the Stars, X-Factor Australia, Australia's Got Talent and So You Think You Can Dance). The Spectacular has a long-term partnership with the Australian Chamber Orchestra, providing tutoring and mentoring to student string musicians. The Spectacular supports the Education State targets of more students reaching the highest level of achievement in the arts; ensuring kids are happy, healthy and resilient; and building pride in their schools. It also provides students an invaluable performing arts opportunity, encouraging development of their creative skills, discipline, perseverance and confidence over months of rehearsals. The environment is non-competitive allowing students to learn from each other as much as from the mentors. Lifelong friendships are often made on this incredible journey. Success and achievement in the arts is one of the key targets for the Education State, as Victorian students learn to think critically and find creative solutions. Minister for Education James Merlino says "The Victorian State Schools Spectacular celebrates the next generation of creative Victorians who might be at the threshold of their future careers on stage and behind the scenes." "The Spectacular provides an engaging performing arts opportunity and industry training experience for our young people while showcasing the talent that exists in Victorian government schools." The VSSS is one of the largest recurring productions in Australia. Across the two shows, over 10,000 people will have the chance to see some of the rising stars of today. Ticket prices to the event have not increased from last year making this an entertaining and affordable event for the entire family. Presented by the State Government of Victoria, the 2018 Victorian State Schools Spectacular – With The Beat, is a not-to-be-missed event. Question: Can you tell us about your role in the Victorian State Schools Spectacular 2018? Deon Nuku: I'm the Dance Director of the Victorian State Schools Spectacular. I work alongside Neill Gladwin, the Director. We have actually already started for the 2019 Victorian State Schools Spectacular; there is a lot of planning involved as we have to put the music together, first. Sourcing the music is the first step and through sourcing the music we then find the theme that is threaded throughout. We have Performing Arts students provide their song suggestions, on sheets of paper, whether they want to sing or dance to the songs and then we work out which songs work for the show. From there we have to get the rights to the particular songs and we have been declined rights, previously. Once we have the rights we can start the creative process, answering questions like: Will this song be a solo, duet or group performance? Is this a principle dance? Will it have all the performers, as a mass dance number or a duo? A lot of fine tuning occurs before we begin working with schools on choreography. Question: How many times have you worked on the Victorian State Schools Spectacular, previously? 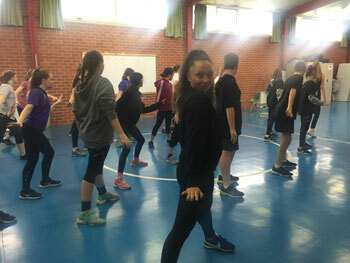 Deon Nuku: 2018 is my seventh Victorian State Schools Spectacular; I have been the associate choreographer in the past and I moved through the ranks to Dance Director, the last few years. Question: How has Victorian State Schools Spectacular changed in the past seven years? Deon Nuku: The venue and stage setup has changed over the years; I think the one we have now is the best, as it is central in the arena, we've moved in the right direction. Every year we've been able to involve more schools, this year we were able to have every school involved by including 12-16 students from each. I think we have 82 schools involved, this year – which didn't happen without troubles. We have tried to include 3 or 4 songs as one big number which means the kids stay on stage for longer. It has been very challenging but I think we've achieved it successfully. The choreography, this year, is the hardest it's been, for the mass which is challenging for the students and us. I'm currently not sure if we've pushed the performers too hard but when the performers get into the arena they work together so well, the outcome is always so clean – it's an amazing performance to watch. It is a lot of work for the performers, it's a production with big numbers and tough choreography with rehearsals over such a long period of time, and it's hard to stay focused. We typically, as performers, are determined to have the best outcome and forget that we're working with school-aged children who are coming to have fun. As much as I want every step to be perfect, I want it to be fun otherwise there is no point doing it, in the end. If you're not having fun, it shows, having fun is what makes a performance entertaining. The audience knows if the performers are not having fun. Question: Could you please explain the theme, With The Beat? Deon Nuku: With The Beat is a fresh theme, it's almost a slogan. The theme is what keeps us all together, we all move to the beat at Victorian State Schools Spectacular – the choir, the orchestra, the dancers and the singers – it's what brings the show together and keeps everyone, together. The understanding is that the whole show revolves around the beat – without the beat we wouldn't have a show! The beat is our unity; it's a drum that keeps us all together, the drum of a heartbeat that keeps the show pumping. Question: What should audiences expect from the Victorian State Schools Spectacular 2018? Deon Nuku: Audiences should expect an amazing show as it has a bit of everything, which is very clever of Neill Gladwin. The music is tailored to the parents and the students; a lot of grandparents and parents attend Victorian State Schools Spectacular and we chose songs that will take them back whilst the students know all the pop-music tracks. Over the years Victorian State Schools Spectacular has made a name for itself as an enjoyable family night out and this year we've sold the most tickets in the shortest time. I guarantee audiences will be entertained from the very beginning to the very end of Victorian State Schools Spectacular: With The Beat. I have friends, in the industry, watch Victorian State Schools Spectacular who do not believe me when I say the students and orchestra are live; they are blown away by the talent. It is a thrill to hear how impressed people in the industry are, with the show. The audiences can expect to be wowed and blown away by the talent of the students, too. Question: Can you share with us any of the songs featured in With The Beat? Deon Nuku: We have Geronimo by Sheppard, Can't Hold Us by Macklemore, Wings by Little Mix, Bruno Mars (of course), Robert Palmer, Cool Cat in Town which is a great Hoola Hoop-Circus number and Elton John's Crocodile Rock and Saturday Night's Alright For Fighting. The costumes are amazing, wardrobe has gone all out and I can't wait to see the final look. Question: What do you love about working on Victorian State Schools Spectacular? Deon Nuku: I love working on Victorian State Schools Spectacular – I currently can see the light at the end of the tunnel, it's all coming together on the big stage. When I attend the schools, in the first round of rehearsals, we unload so much choreography on the students that sometimes they are in tears, it's all too much but then later you see the same students, in the arena, with huge smiles and they'll never forget the experience. When I'm asked what I do often people say "I did that" with such a sense of achievement, still. The students will never forget Victorian State Schools Spectacular, it's an incredible experience. Deon has worked as a dancer and actor in film, television and theatre. His theatre credits include West Side Story, Fame, Footloose and Saturday Night Fever. 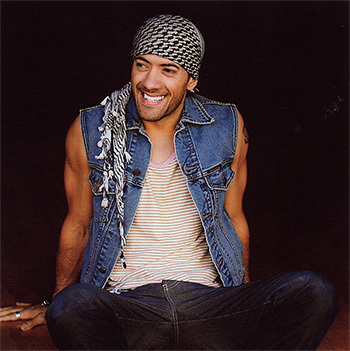 He has worked with international artists such as Macy Gray and Kylie Minogue. Deon's television credits include the ARIA music awards, X-Factor (UKTV), Hey Hey It's Saturday, Australian Film Industry Awards, The Good Friday Appeal, The Logie Awards, Fast Forward and Neighbours. He was a featured dancer in the films Moulin Rouge and Scooby Doo. Deon is a member of the Wickid Force breakdance team, Australia's leading breakdance champions. Where Are All The Male Teachers?